The I Love Cambodia Project (ILC) was initiated and conducted by 16 orphaned or abandoned youth who have been under the care of New Hope for Orphans Organization (NHO). Today, these youth are taking courses at various universities. This group is the first batch that reflects the whole vision and mission of New Hope for Orphans. In December 2011, Ps. 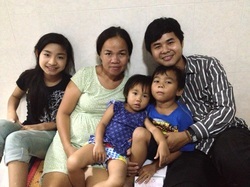 Vanna Srun formed the “I Love Cambodia Project” in response to a God-placed burden in his heart to help the underprivileged; especially children, poor students and youth who do not have enough money to continue their education because their family’s income is still under the poverty line and unable to meet basic needs. Ps. Vanna Srun has a vision to reach out to the lost for Christ by providing a life-changing education to orphans, children and poor students who would be unable to afford their school fees. 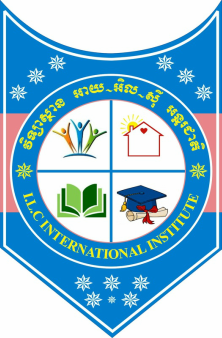 Moreover, ILC provides training to the youth and poor students to improve self-confidence, social dignity, and self-esteem in order to demonstrate a model of leadership, self-motivation and self-esteem to lead them towards leading a group of people in the Cambodian society through the Word of God. Nowadays, ILC has provided free education to poor communities with 24 volunteer teachers of 250 students. Through this program, many children and poor students can now read and write English. With the effort of volunteer teachers, the student’s result of passing to the next level is increased. This really makes a difference in the life of the children, poor students and continually reaching the path of a brighter future and a great hope for them to have capable human resource to help and develop their own communities. So far, the ILC Program is moving step by step through God's leading direction. We have a lot of participants, who cooperate with each other very well, wanting to see it take place. They really take their time to volunteer as teachers and bible teachers in this project although they don’t have money. They want to share what they have, although it is like a mustard seed to produce good things for the youths and especially for the underprivileged. ILC Program is expecting to see the young people have opportunity to study and catch this vocational training which improves their chance of finding a job in the outside world. Through this program we believe that there will be a lot of advantages for their future.